Summer can be crazier than the school year. We made a large calendar to hang in our TV room to display our commitments throughout the month so my kids understand I can’t be more than one place at the same time. 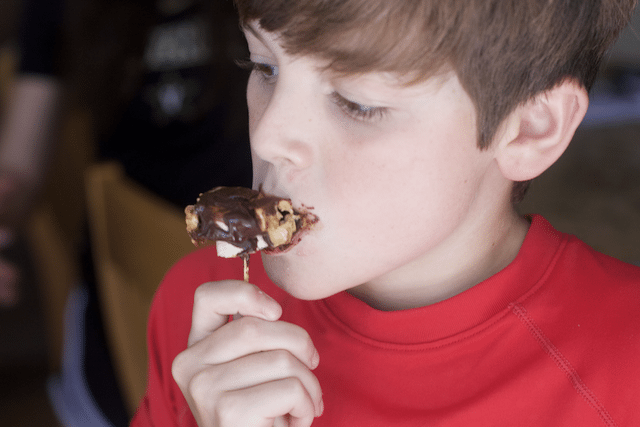 With all the extra activities, my kids are starving and often have to skip meals or at least delay them a few hours. 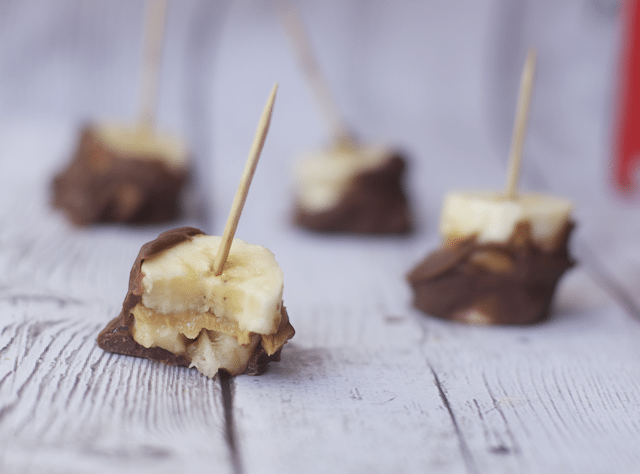 That is when portable nutritious snacks come in handy, and they just love these Frozen Peanut Butter Chocolate Banana Bites. You really don’t even need to keep them in the freezer. After I melt the chocolate, I put them in the freezer but once the chocolate hardens they can stay in the fridge. 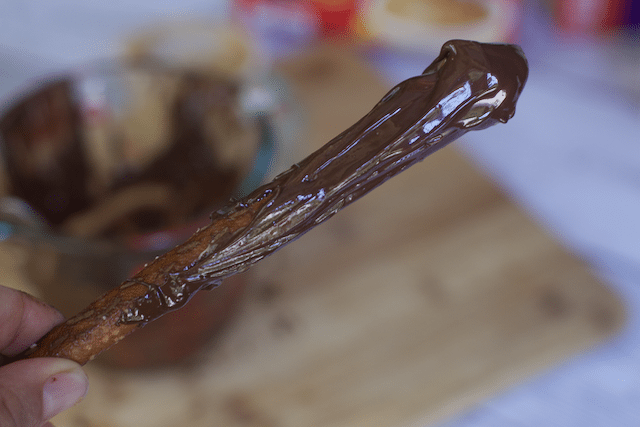 Make a double batch of these go to snacks, since my kids gobbled them up. Simply cut your bananas in uniform slices. 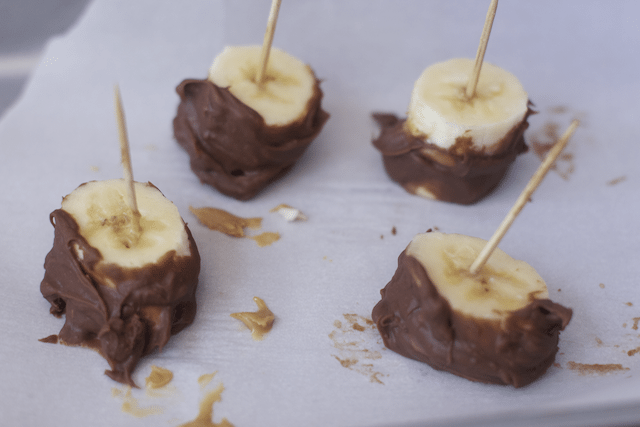 Add about a teaspoon of peanut butter in between two banana slices. Allow the chocolate to set in the freezer or fridge and then gobble. The kids can grab these whenever they need a little pick me up through out the day and it also makes a great alternative for dessert. Have you seen the JIF Creamy Peanut Butter Granola bars? They even have Peanut Butter Chocolate Flavored Granola Bars. 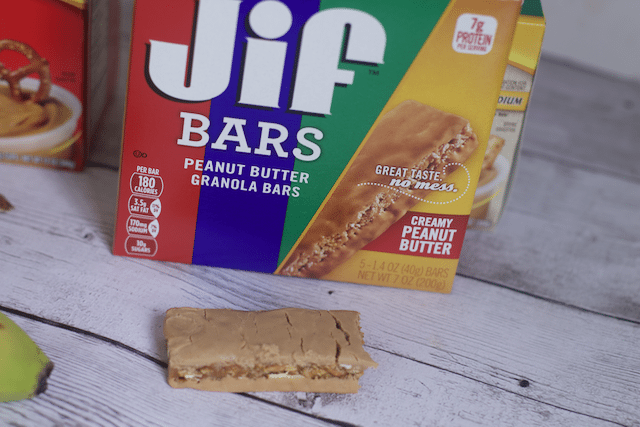 These new bars from JIF combine both creamy peanut butter and a yummy chewy granola bar. 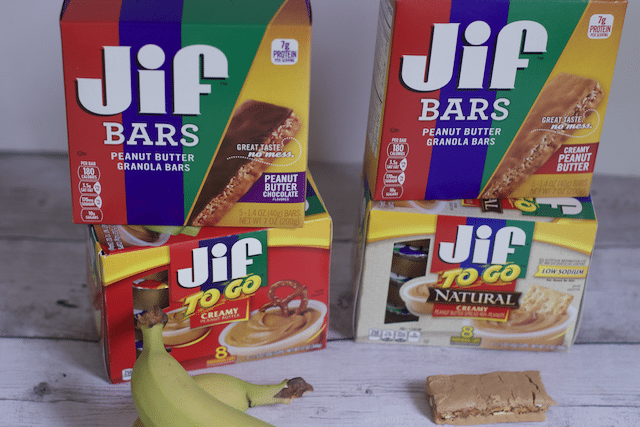 Parents can feel confident knowing these bars are made with real Jif peanut butter providing 7g of protein per serving. These will be joining us this summer on many road trips. 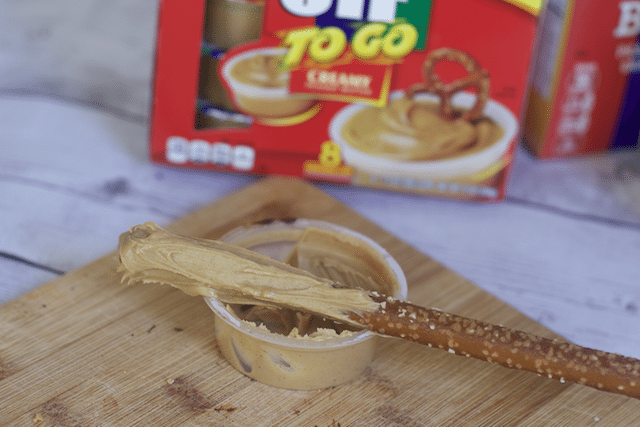 Jif To Go® are also convenient snacks for the road or lunch boxes. When I get bored of making sandwiches, I simply through a pack of the peanut butter with cut up apple or celery for a hearty snack. Pretzels and Peanut Butter is also a great treat. With the left over peanut butter and chocolate I was very tempted to make peanut butter Chocolate Pretzels. The perfect road trip snack too. Just dip the pretzel log into the peanut butter and then cover with dark chocolate. 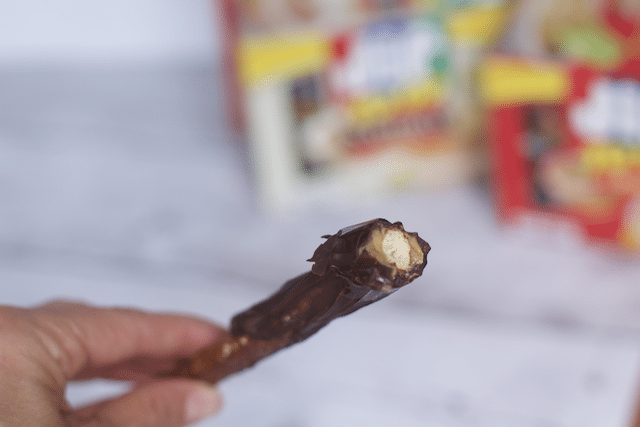 Allow it to harden and even adults can not resist this fun road trip snack. We are doing all the driving, maybe we will keep these for ourselves. 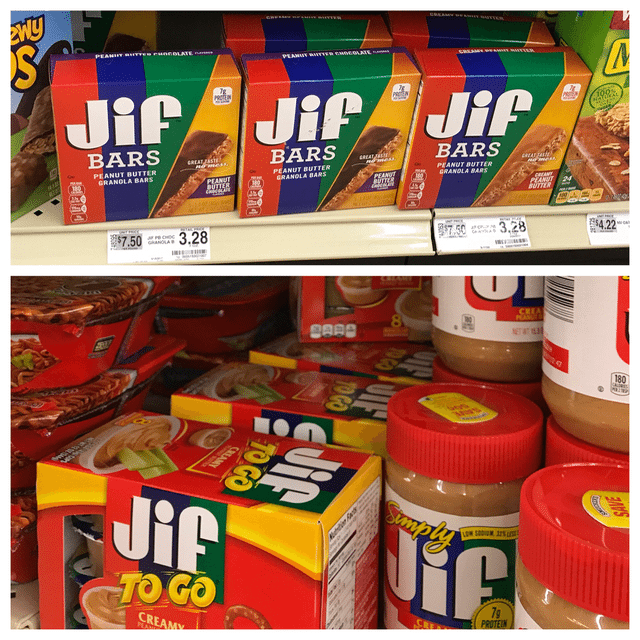 Before heading out to Food Lion To buy these snacks for your next road trip, be sure to download this JIF Peanut Butter digital coupon. Pin this so you can have some yummy treats for the kids this summer. They can make them too! So true. A little honey and some bread and I am in heaven too! I don’t like bananas much and will only eat it if there is nothing to eat. However, you above looks interesting and I wouldn’t mind trying it. It’s great how quick and easy these are to put together. 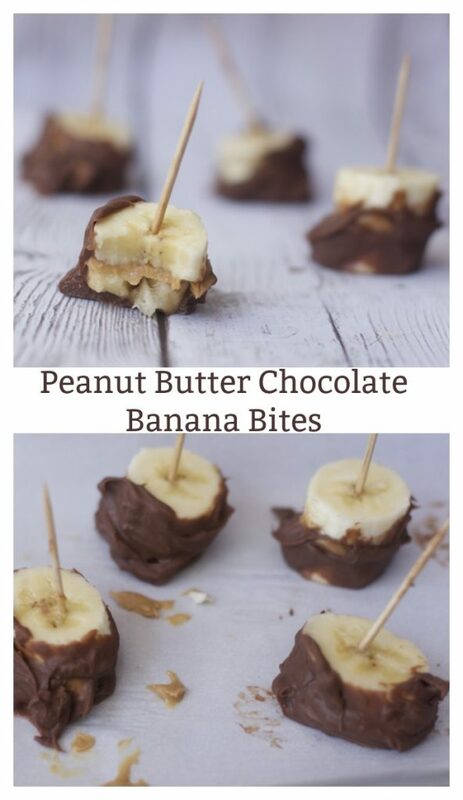 My Mom loves chocolate and peanut butter and I bet she’d enjoy these too. 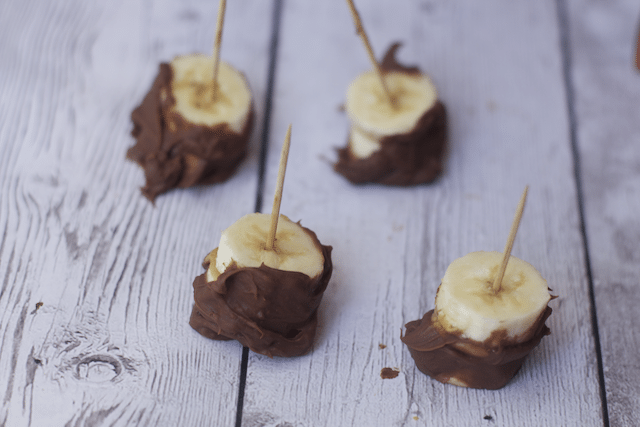 Banana, chocolate and peanut butter always work together so well. These are so simple and fun! You had me at peanut butter with chocolate. Plus the banana is a super healthy addition. These snacks sound perfect for kiddos! You had me at peanut butter! Pretzel log with peanut butter that’s like match make in heaven. I know my kids are going to love it. Not only is this delicious, but it’s such a fun experience for the kids to cut and dip them! I bet they love it! I am down with anything that has Peanut Butter in it! These sound perfect to have that sweet snack but still not eat too much! My mom made a really similar snack for us when we were kids that was one of our all-time favourites! Peanut butter and bananas are such a delicious and healthy combination. 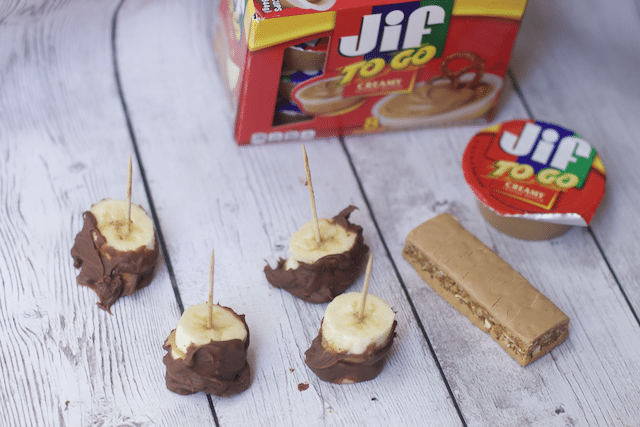 Peanut butter and bananas were meant to be together!! It is one of my favorite combos! My kids are going to love these.